Although under federal law marijuana remains illegal, voters in Colorado and seven other states and Washington, D.C., approved measures to legalize recreational pot sales and consumption, while medical marijuana is legal in 28 states, Puerto Rico, Guam and the District of Columbia. Colorado, which legalized recreational pot sales in 2014, recorded $1.3 billion in medical and recreational cannabis sales in 2016. Nationally, sales of cannabis are projected to reach $24.5 billion by 2025, according to a report issued earlier this week by industry analytics firm New Frontier Data. “There’s a big difference between (medical marijuana) and recreational marijuana, and I think when you see something like the opioid addiction crisis blossoming in so many states around this country, the last thing we should be doing is encouraging people,” Spicer said, revealing the extreme ignorance of current administration’s views on drug addiction. The fact of the matter is that cannabis has actually been shown to alleviate opioid addiction, thus making Spicer’s statements regarding opiate addiction as a corollary to marijuana use completely fallacious – and completely disproven by current scientific research. In fact, a growing body of research reveals that the decriminalization of marijuana is associated with lower rates of opioid abuse and fewer opioid-related fatalities. “The national prohibition of cannabis has been a failure, and millions of voters across the country have demanded a more sensible approach. I’m looking forward to working with the leadership of our newly formed cannabis caucus to ensure that these wishes are protected,” Blumenauer said in a statement reported by The Cannabist. While on the campaign trail, Trump said that he favored states’ rights and would not interfere even with legal recreational use states such as Colorado. 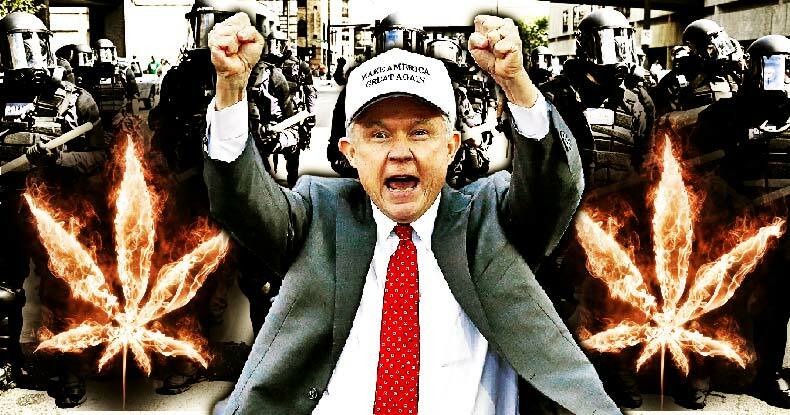 He now seems poised, with the appointment of rabid drug warrior, Attorney General Jeff Sessions, to helm the Department of Justice, and the recent statements of Spicer, to attempt to dismantle the legal recreational marijuana market.